Royal Palm Beach Movers – Moving can cause just as much mental stress as physical. Even worse, it’s very time consuming. 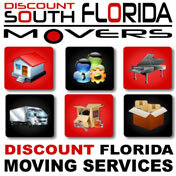 Let Discount South Florida Movers help you breeze through the process. With over a decade of expertise, we can handle all of your moving needs. We will do the heavy lifting for you and save you time and money. We can do as much of your move as you need. Our professionals can securely pack your belongings and we also offer storage solutions if required. Pianos and other difficult items aren’t a problem either. Please tell us if you have any special requests and we will accommodate them. We guarantee that you will be satisfied with your moving experience. Best of all, our rates are the lowest around. Get a free quote today and see! Royal Palm Beach is a large village in Palm Beach County. Before the area was incorporated in 1959, the area was mainly swampland. Stating in 1959 the swamps were dredged and the village started to be developed. Since then it has grown to 20,000 residents. Rapid growth in the 1980s allowed the village to grow and expand their facilities to include a 120 bed hospital. Even though the village has expanded quickly, it has remained very eco-friendly. There are hundreds of acres of green space and parks. They have also been recognized as a “Tree City USA” by the Arbor Day Foundation. The entire village serves as a bird sanctuary as well. Another point of interest in the village is their Cultural Center. Discount South Florida and Royal Palm Beach movers provide low rates on residential, commercial, piano and long distance moving.